Love these bags. They're perfect as an investment piece! I vote YSL - so classy! I nearly boughtthe PS11 a few years ago! 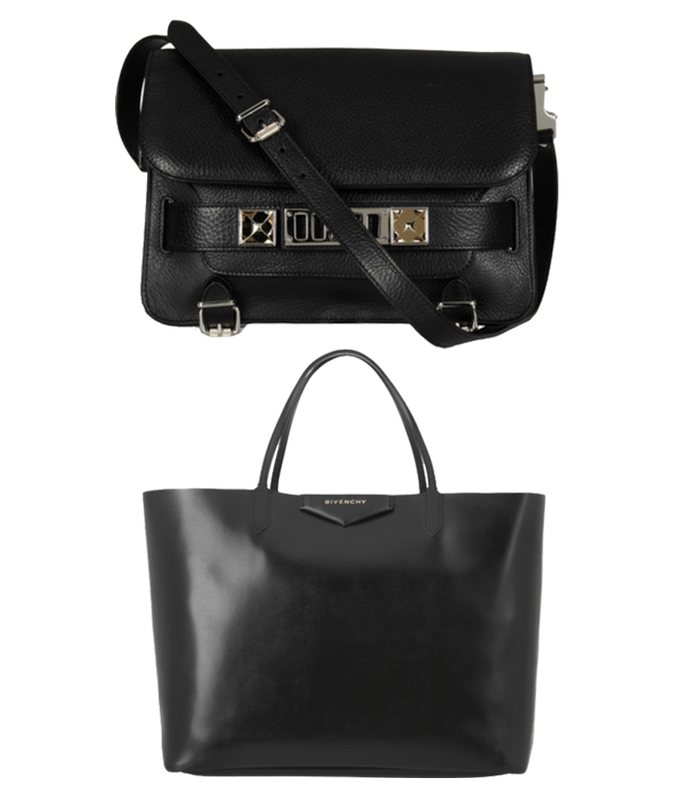 But the Saint Laurent is so chic! And maybe more versatile too! finding the perfect "it" bag is so hard for me! still haven't found it yet.. I do like your selections though, especially the YSL cross body! OMG. I love the sunnies and green top. Visit my blog for a chance to WIN a pair of vintage sunglasses. Oh I would say yes please to any of these! all of them are lovely! I've never been crazy about bags, sometimes I wish I don't have to carry them with me at all...other times, I really feel like they make a difference- it all depends I guess. I love the Hermes one, such a classic and timeless piece! Can't wait to see which one you are going for!